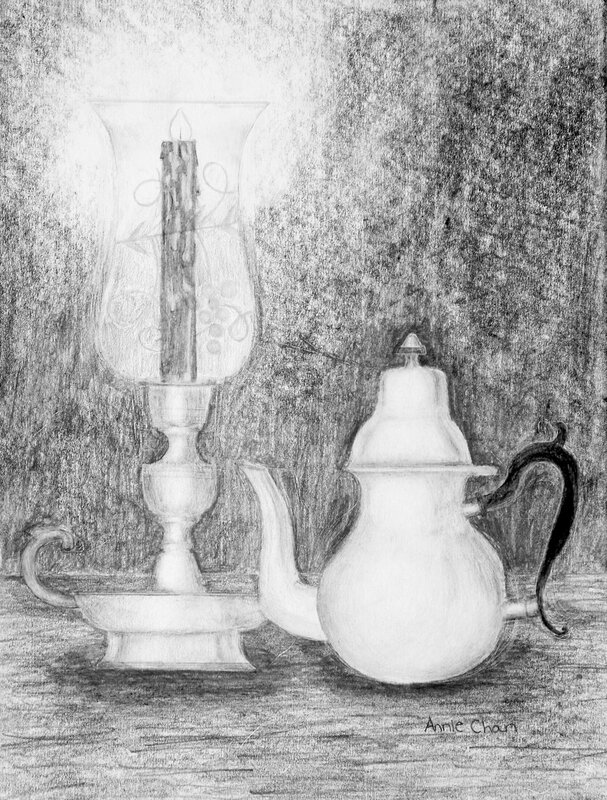 This pencil drawing called 'Still Life with the Candle' was accepted into the Spring 2018 Celebrating Art National Contest in division 7 - 9th grade. The picture was drawn from life and not a photo that added to its difficulty. This drawing took a long time to finish yet worth the wait and well-deserved honor.